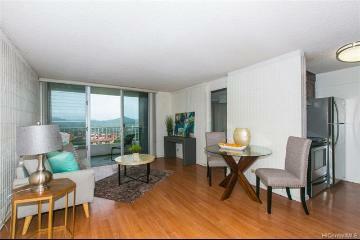 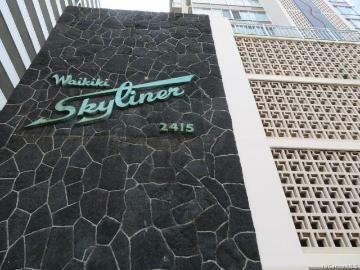 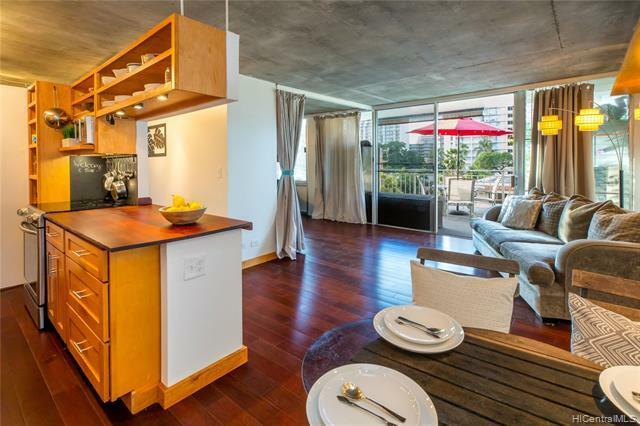 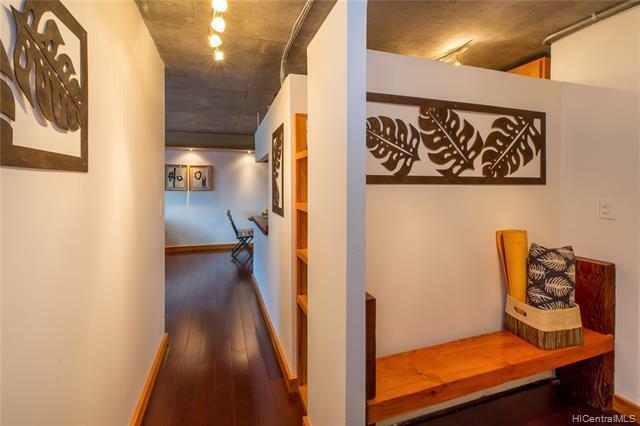 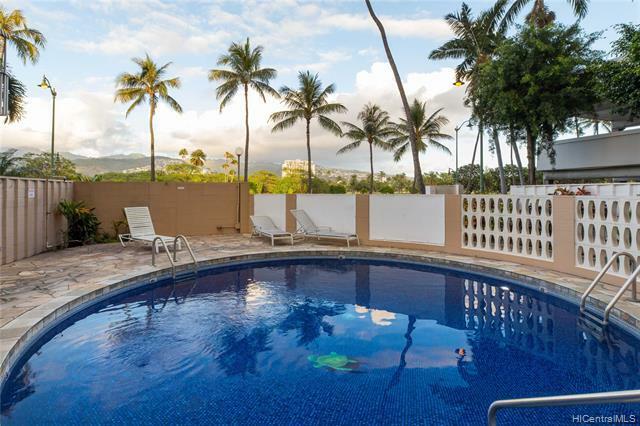 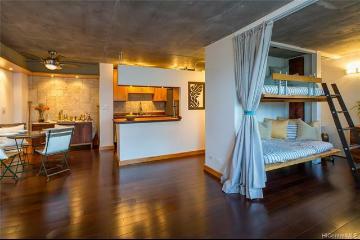 Say Hello ~Waikiki renovated two bedroom unit that feels like a house. 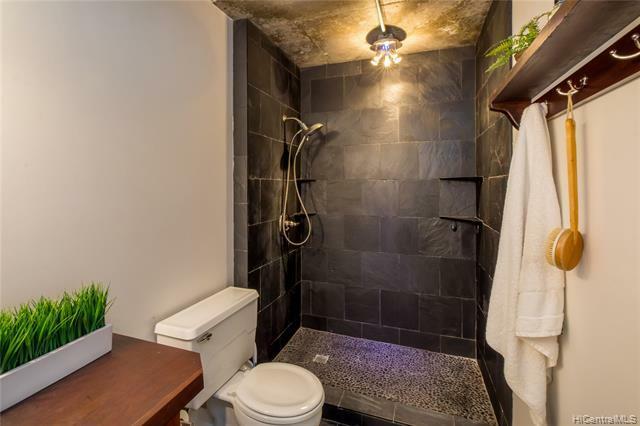 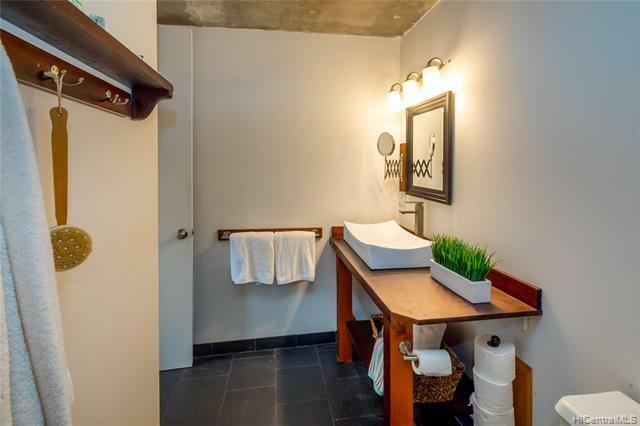 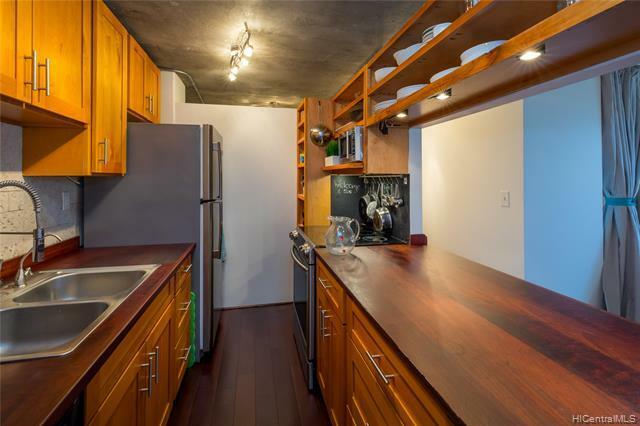 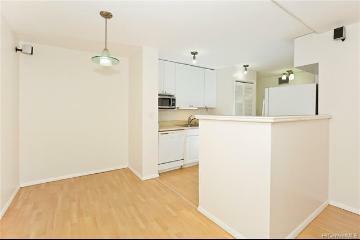 Thanks to a 522 sq ft deck that really adds square footage and grandeur to living in a condo. 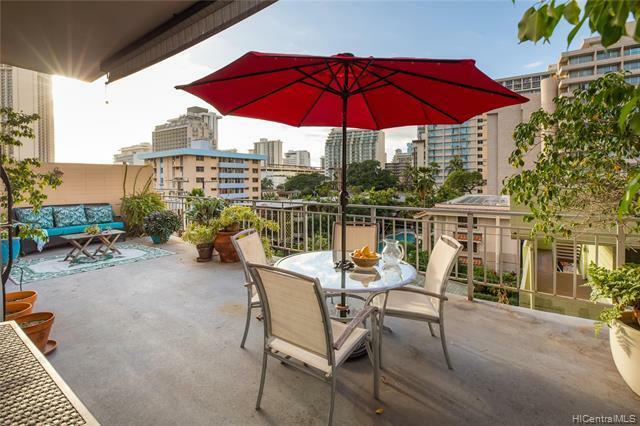 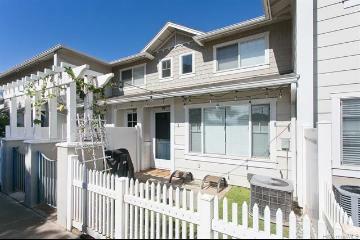 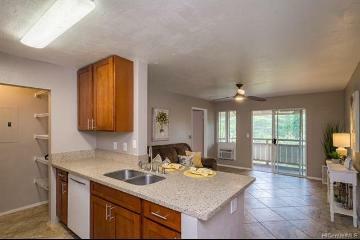 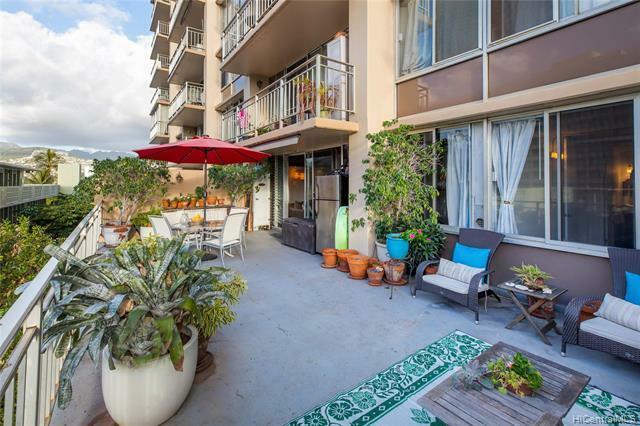 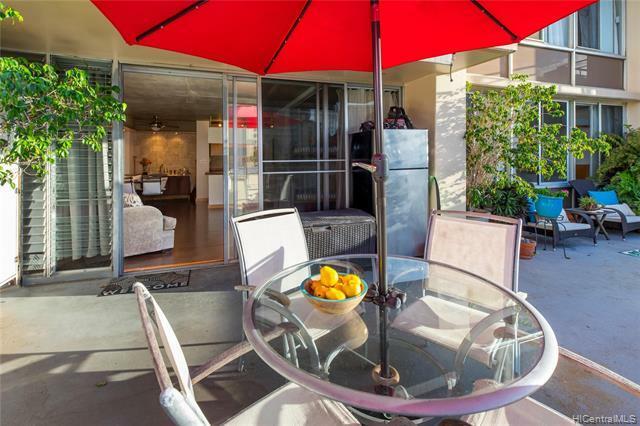 Spacious lanai with trade winds, views, lanai garden, and only a few blocks away from the beach. 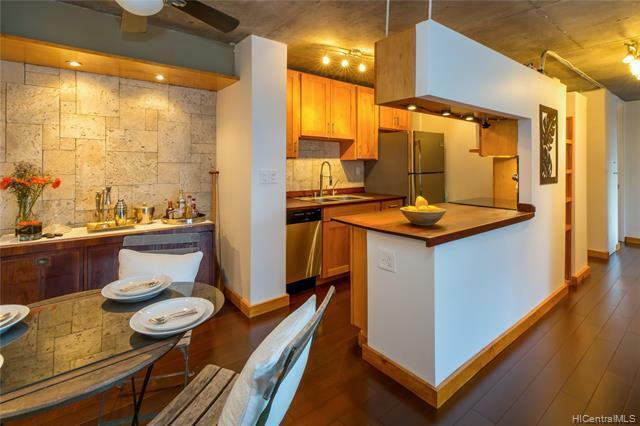 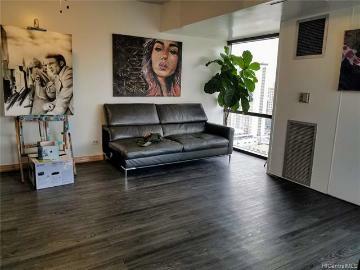 Unit 505 boasts Brazilian Ipe hard wood floors, exposed ceiling, mood lighting, new stove top, Bosch washer/dryer, walk in closet, and lots of natural light. 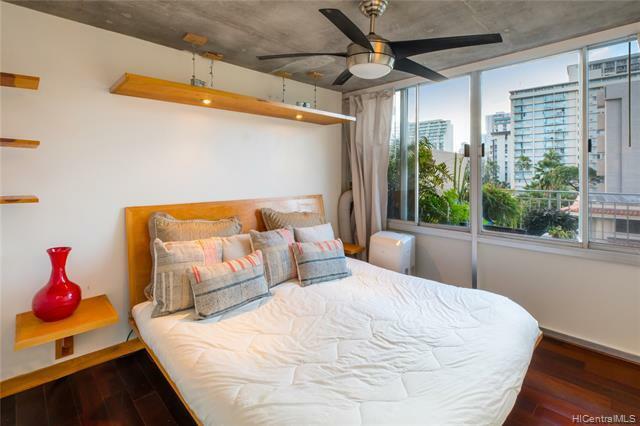 The second bedroom is versatile with the partition wall currently removed for functionality, easy to be turned back into a true 2 bedroom. 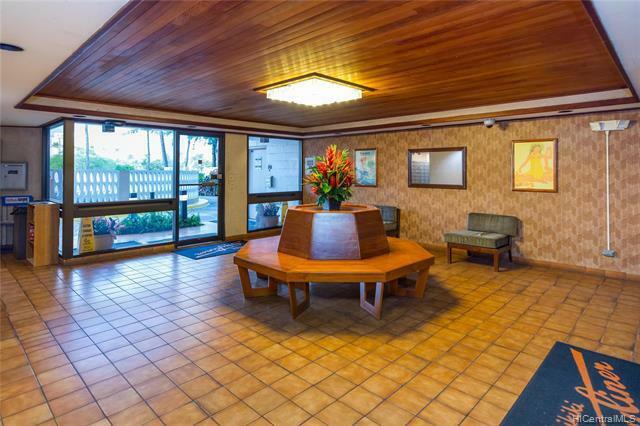 Enjoy coming home to tranquility in the heart of Waikiki. 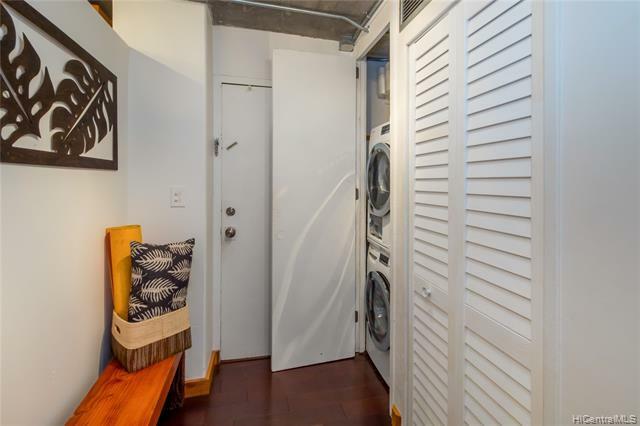 No neighbors under this unit. 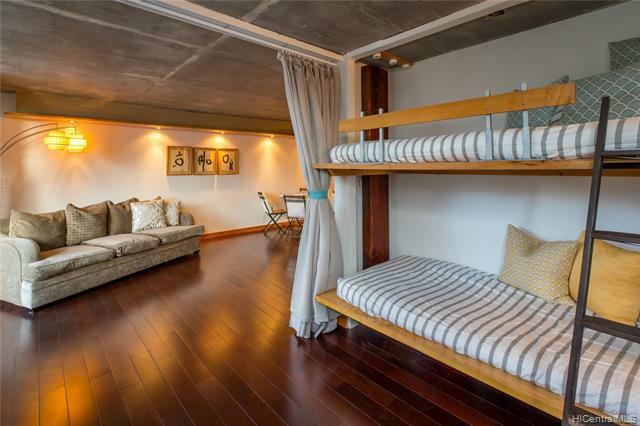 Built-in Full beds offer lots of creative living spaces for second bedroom and Master king bed with separate reading lights are impressive. 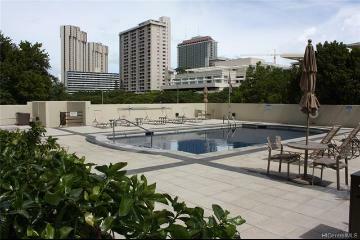 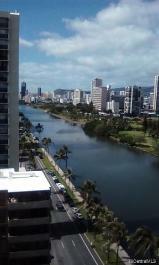 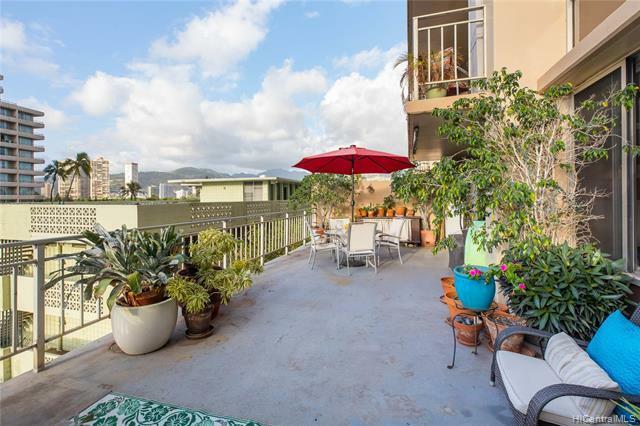 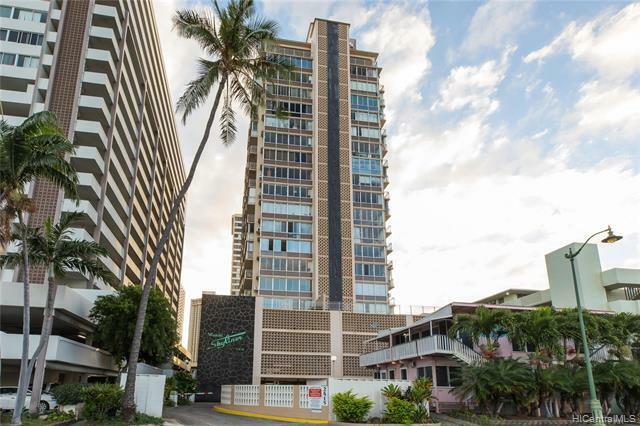 2415 Ala Wai Boulevard, 505, Honolulu, HI.